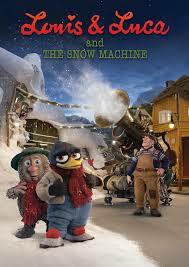 Review: An inventor named Reodor Felgen is asked to create a snow machine as the small town of Flaklypa is experiencing a great lack of snow. Things don’t go according to plan. The original Norwegian title for this film is Solan Og Ludvig – Jul i Flaklypa. I have to say that I did watch this one which was dubbed in the English Language. Apparently there have already been a few Norwegian Flaklypa stories, one being called Louis and Luca and The Big Cheese Race, 2015 which I actually managed to watch at the London Film Festival in 2016. There is so much in this film to like just like the sequel; for instance, I love the characters and felt I truly got to know them, as they were all so charismatic. It is a film which comes alive with a cracking story, full of plenty of humour. I actually laughed out loud a few times at the jokes. The pace of this film was fantastic and the length only comes in at about 78 mins just like the second film. This is one of those rare films that all ages can see and all families can enjoy. If you do manage to catch this on t.v. etc I would recommend it to everyone as a very original and unusual foreign language film which is very accessible for English speaking audience.